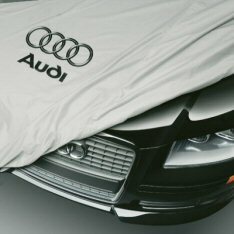 Protect your Audi from the elements with a lightweight, easy-to-use cover. Stormshield material is custom designed for your A3. Covers have a plastic window so the rear license plate is visible and come with a storage bag. Screened with Audi logo.